Carol Hadfield, Cape Town, South Africa. Carol Hadfield’s adventures in art began in her teenage years, with pencil and charcoal portraits. That focus and passion returned in 2007 when she committed full time to art, at first dabbling in acrylics and later oils. She fell in love with the versatility of oil paint, and this has become her medium of choice. Since then, she has studied under Mary Surrurier, Margie Johnson and Natalie Hirschman, and continues to hone her skills by attending workshops and demonstrations whenever she can. These include Cyril Coetzee, Barry Raybold and Penny Steynor. 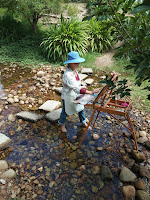 She has a particular love for painting en plein air, something that natural beauty of Cape Town lends itself to. Since 2008, her work has found its way to Scotland, France, Switzerland, Canada, Northern Ireland, UK, Korea and the USA, as well as Cape Town and Port Elizabeth. 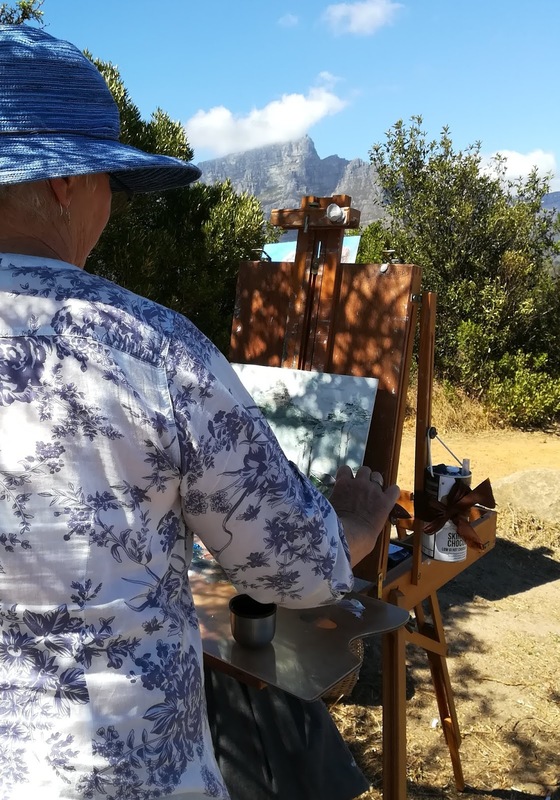 Carol served as the Chairman of the Constantiaberg Art Society (CAS) Committee for three years and acted as their Exhibition co-ordinator as well. She is currently serving her 5th year on the Committee. She is also a member of the South African Society of Artists (SASA), and has served on their council. On completion you decide whether you wish to purchase the art work. I normally sell a size A3 charcoal for approximately R1,500 (unframed) and approx 30cm X 40cm oil painting for R3 500 (unframed) less any deposit paid. Whether you wish to purchase the finished work or not, I retain all rights to it. If you do not fall in love with it, I may exhibit and/or sell it to any interested buyer or gallery and may display it on any of my web pages. I prefer to work in natural light in your own home but will discuss any preferences you may have. Photographing the 'Mum to be' is best done about two or three weeks before baby is due. This is a great opportunity to pamper yourself and show off your beautifully rounded tum! The photo shoot will take approximately one hour. Your baby is best photographed within the first two weeks of life when he is sleepy and well fed. This will also take proximately one hour and will be organised in accordance with baby's schedule of the day. Cost: R5 000 per photo shoot which includes a CD of the best high resolution photographs and the discards in a separate folder.